Start your day with a cup of POWER! Whether you want to survive a stressful day at the office . . . or need to muster all your strength, stamina and state of mind to endure a natural disaster . . . or simply lose weight . . . Café UTOPIA ™ is here to help! Cafe UTOPIA™ coffee is formulated to elevate your mood, enhance your brain power, relieve your stress, increase your focus, and prolong your stamina and endurance. It also helps you recondition your system using nootropic and adaptotogen based stimulants “to turn off the triggers” associated with food cravings. Cafe UTOPIA™ is formulated with perfection. 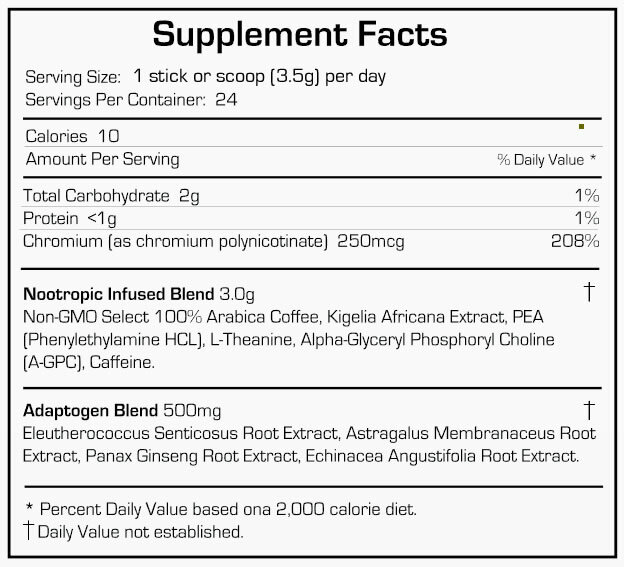 Café UTOPIA™ is made with Non-GMO 100% SELECT Arabica coffee. Arabica is one of the two varieties of commercially grown coffee. Arabica coffee beans are widely known and accepted as coffee beans that produce coffee with more highly desirable characteristics than the other, Robusta. 100% Arabica select blend means this coffee has been formulated without the addition of any Robusta coffee beans. With Café UTOPIA™ you simply get higher quality and better tasting coffee. Suggested use is one serving per day.